Happy Wednesday all! Half way through the work week, whew! Today is December 11th, so it is the 11th day of our activities advent calendar. My hubby and I are having so much fun with this advent calendar that we put together ourselves! Each night is a different holiday activity to countdown the days until Christmas. Read what activities we did the first week, here! I’ll do another post after week 2, sharing more of our activities! 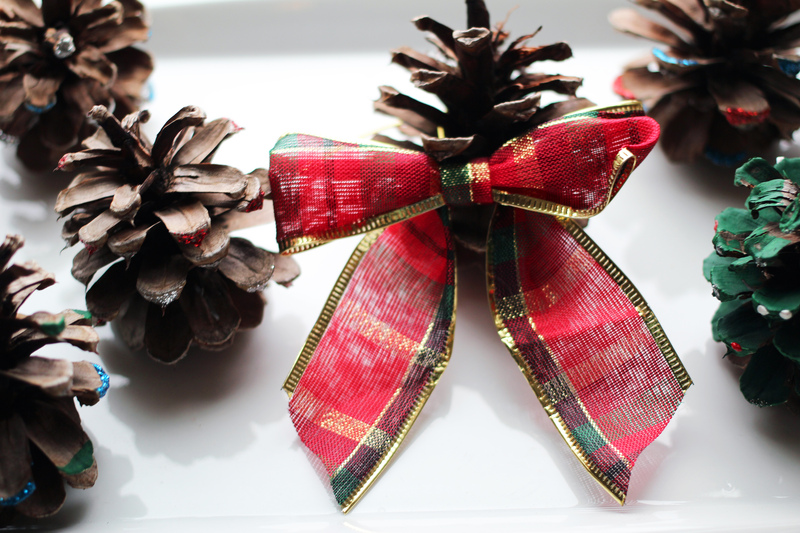 Today is a little sneak peak of Sunday’s activity: do a Christmas craft. 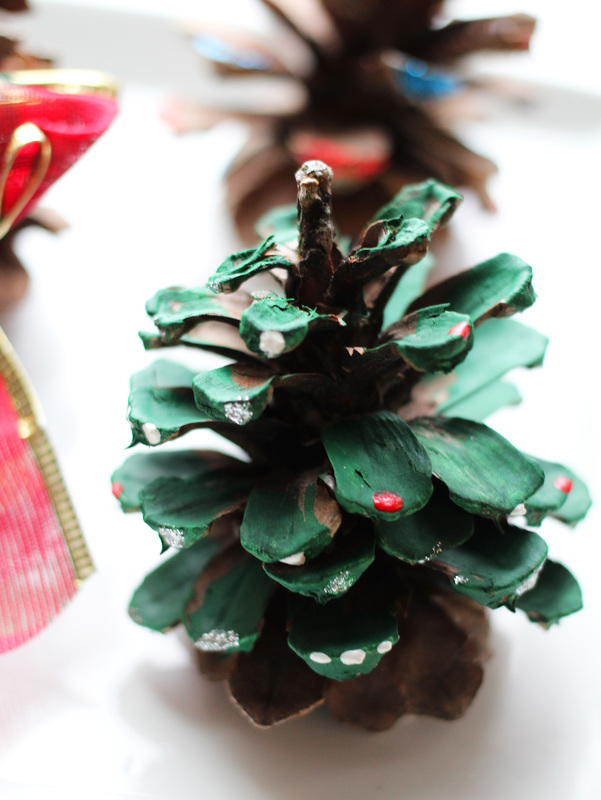 We chose to decorate pine cones! We picked this for our craft for two reasons. 1. These are so easy to do, and 2. 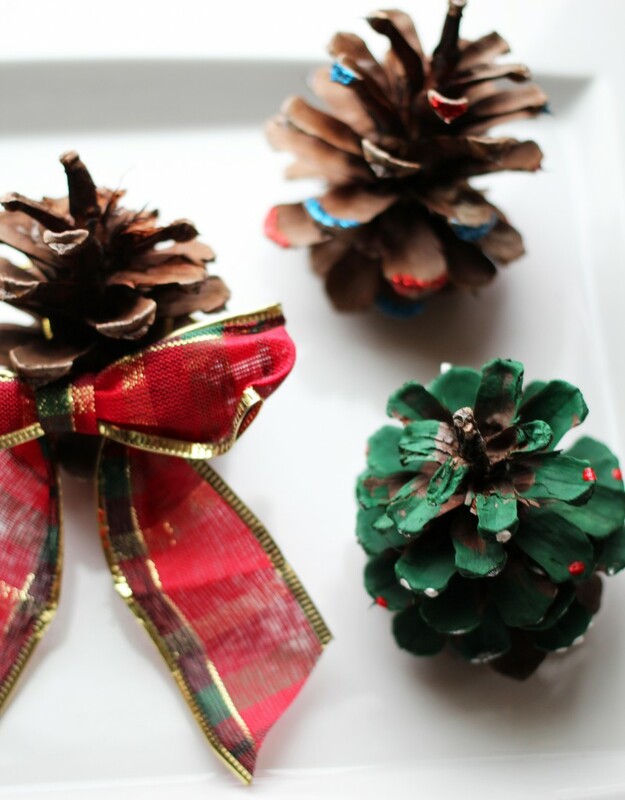 I knew I wanted to decorate with pine cones this Christmas. Another great thing about making these? I didn’t have to spend a dime! After church on Sunday, we found the nearest park with the right kind of trees and scavenged the ground for pine cones. I felt like I was trick or treating as I filled my plastic bag up. As we were leaving I couldn’t help but think how people pay for pine cones when they are so easy to find out and about! (I like the imperfections of the ones I found.) 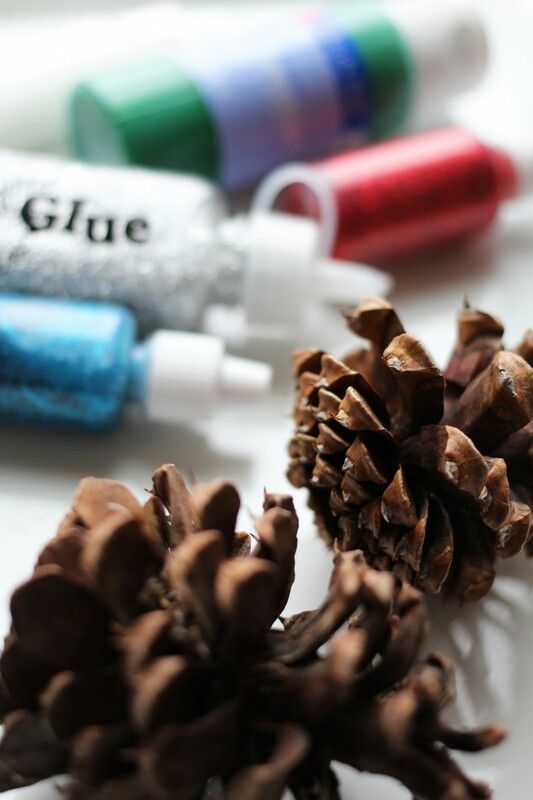 After taking the bag of pine cone goodies home, I grabbed all my Christmas-y colored puff paints and ribbons, set up a station, lit a Christmas candle, and we got to decorating! We kept it pretty simple because, well, let’s face it… we aren’t artists. 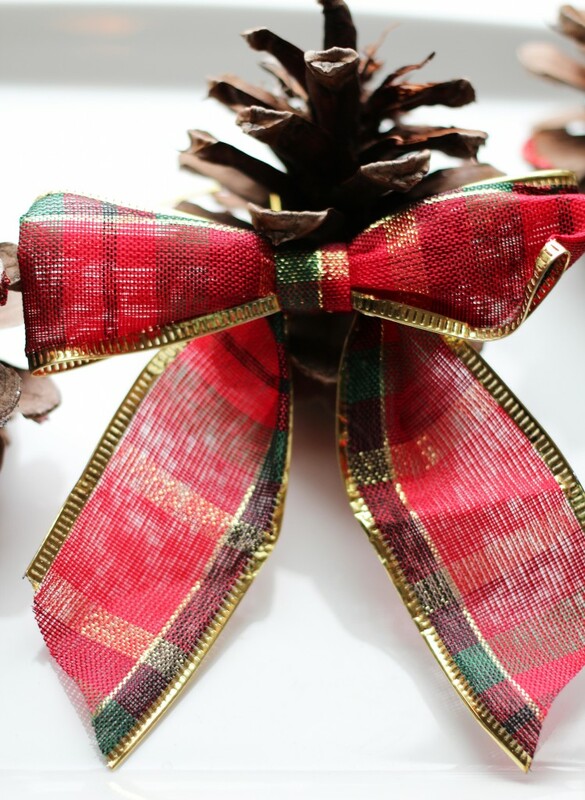 This one, I simply adorned with this adorable plaid bow I had leftover from our Christmas tree decorations: And this one I attempted to paint like a Christmas tree… This was a very fun, very easy craft, that didn’t cost anything at all. And now I get to decorate with our creations! 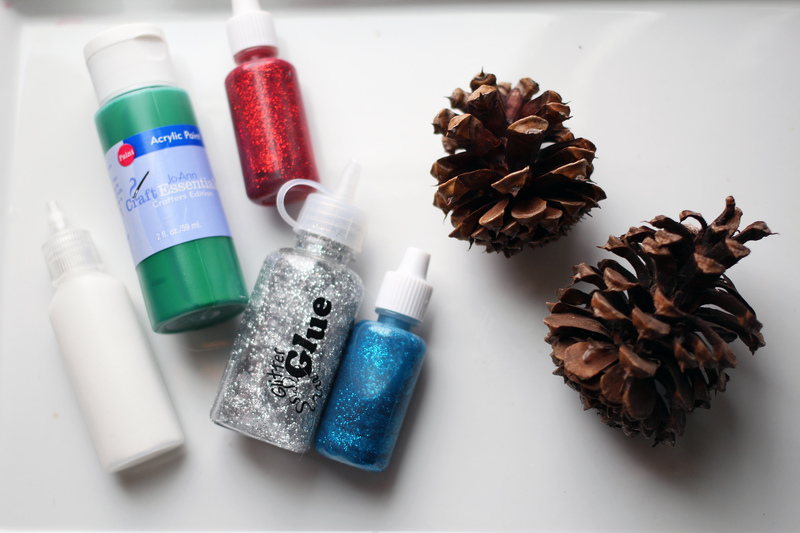 Have you done any crafts this Holiday season?